Irish electoral candidate's poster on the roadside, the gruesome disfigurement an accidental consequence it's erection. Co. Galway, Ireland. 20/05/14. 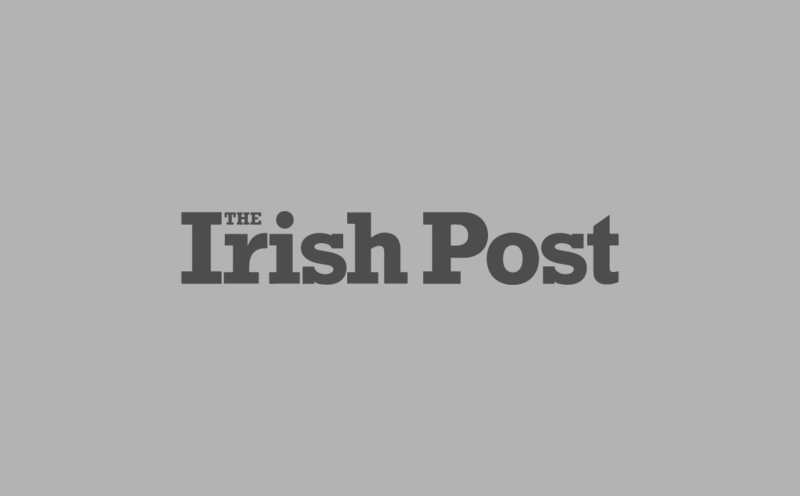 IF you’ve ever spent time in Ireland during election season you won’t have missed the thousands of political placards littering the country’s roadsides. London-based photographer Mark Duffy was on a visit home in 2014, when one in particular caught his eye. It became the inspiration for his debut book Vote. No1. 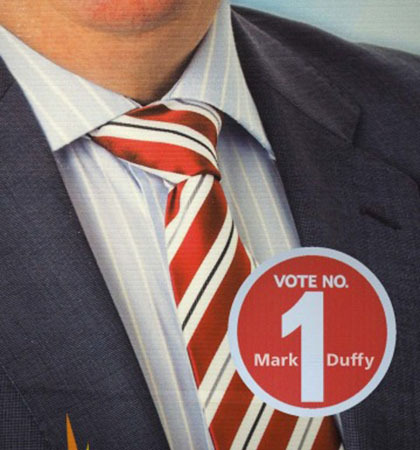 The book is a photographic study of the Irish approach to political advertising. Duffy ended up back in London with a handful of images and set about making them into a book. "It was originally a visual thing, more than any kind of political point, but it seemed appropriate given the mood of the Irish electorate at the time." Talking to Galway born Duffy, he is keen that the images speak for themselves, reluctant to tie his own political flag to the mast. The book launched in the UK on January, 28 at The Photographer's Gallery in London's Soho. At the Dublin launch Irish MEPs Brian Hayes and Marian Harkin, who appear in the book, were both present, signing and posing for pictures with their own images. Duffy is also aware that the exhibition and book could make people think about the environmental costs of political advertising. “It might give them something to think about when it comes to the putting up of posters, they might think about the way they put them up, but really they should be thinking about whether they put them up at all. The amount of resources that go into these things, it's horrible.